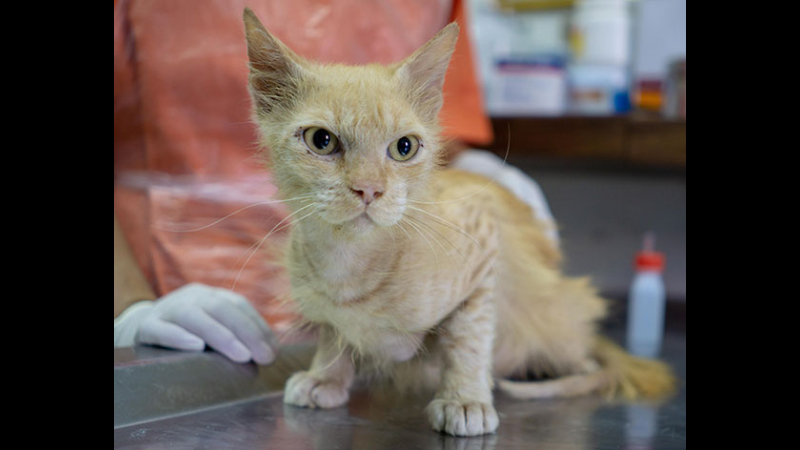 Without vital veterinary care, these vulnerable cats would have been left to suffer from disease, malnutrition and injuries caused by road accidents or cruelty. 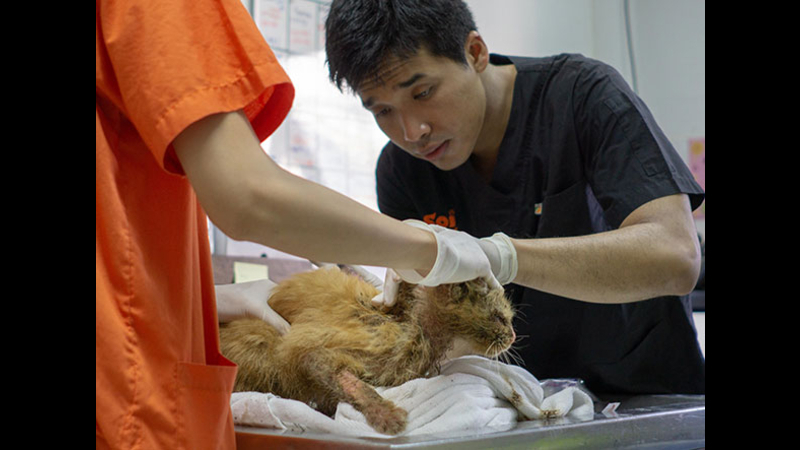 Soi Dog's ‘Care for Cats Club’ helps them to undertake this vital work for cats in need. One such cat is Driscoll (above). The lady who arrived at the Soi Dog shelter with Driscoll in her arms said people were hitting and abusing him because they thought he was “dirty and stinky”. They just wanted him to go away. 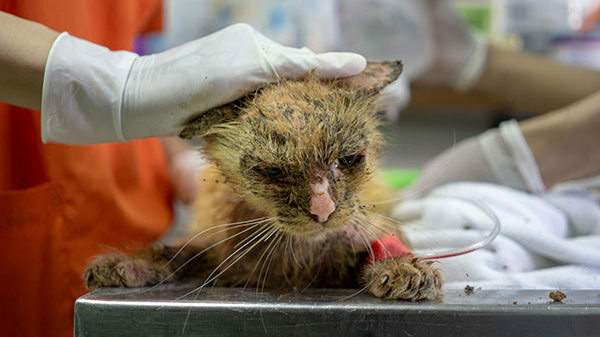 Sadly, this is life for many sick and injured homeless cats in Thailand. Driscoll’s condition when he was found was truly heartbreaking. He had clearly been suffering for some time. 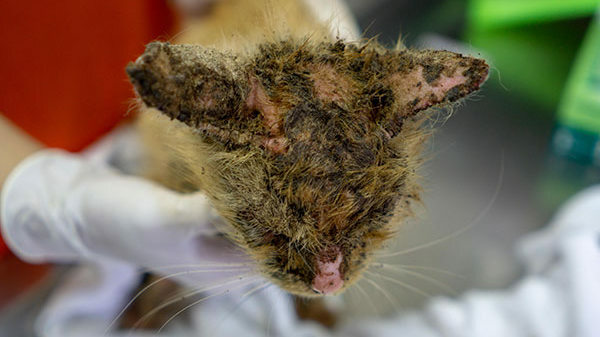 His fur was falling out, leaving bald patches all over his frail and emaciated body. He was covered in weeping sores and was red raw from scratching. 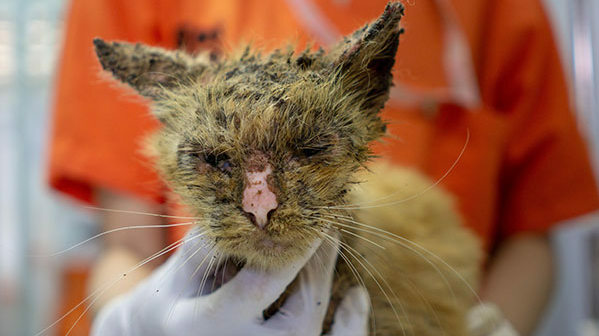 Driscoll had no owner to care for him or take him to a vet for the medical treatment he needed. And there is no government funding. 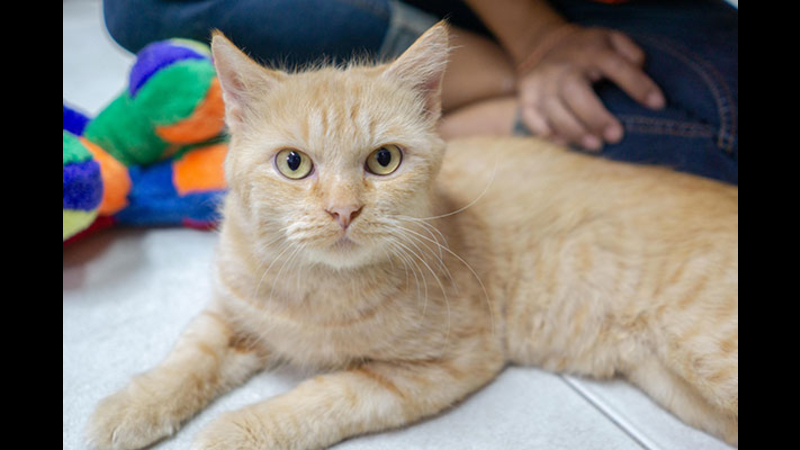 Thanks to the Care for Cats Club, Driscoll was admitted to the small cat clinic at the Soi Dog shelter. His fur was shaved and his skin gently cleansed. 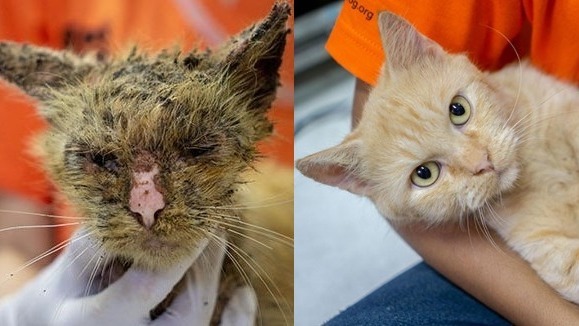 He was vaccinated, given pain relief and started on a course of medication to cure his skin problems. 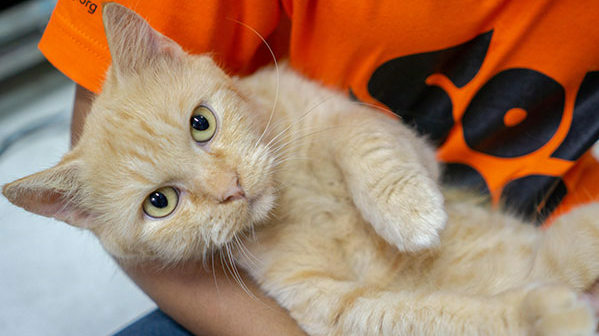 More information about the Care for Cats Club can found here.